There are numerous chart packages on the market and we have outlined some of our favourites below. MetaTrader 4 www.metaquotes.net Miillions of traders with a wide range of needs choose MetaTrader 4 to trade in the market. The platform offers ample of opportunities to traders of all skill levels: advanced technical analysis, flexible trading system, algorithmic trading and Expert Advisors, as well as mobile trading applications. MetaTrader 4 www.metaquotes.net If you would like to seek our advice about which may suit you best, please come along to one of our Traders’ Open Sessions / Coffee mornings to ask all questions you wish face to face. It might also be an opportunity to seek first-hand feedback from other traders. Tradestation www.tradestation.com They say, “TradeStation is the premier brokerage trading platform for rule-based trading. And we have the awards to prove it. Whether you trade stocks, options, futures or forex, TradeStation offers uniquely powerful strategy creation and testing tools, customizable analytics and fully automated trading technology in a single trading platform. With TradeStation, you can: * Create an unlimited number of custom trading strategies * Back-test and optimize your strategies before you trade, using the industry’s largest and most extensive historical market database * Monitor multiple markets and automatically execute your trading strategies based on your own custom buy and sell rules”. 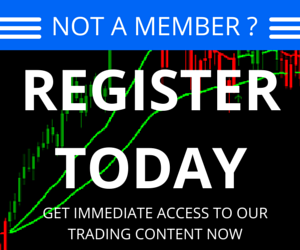 Tradestation also offers a demo account to those new to trading. Multicharts www.multicharts.com They say, “Trading Software for charting, backtesting and multi-broker automated trading. MultiCharts is an award-winning trading platform. Whether you are a new trader or a professional, MultiCharts has features that may help you achieve your trading goals. High-definition charting, built-in indicators and strategies, high-precision backtesting, brute-force and genetic optimization, automated execution and support for EasyLanguage scripts are all key tools at your disposal. Freedom of choice has been the driving idea behind our MultiCharts and you can see it in the wide choice of supported data feeds and brokers. Choose your trading method, test it, and start trading with any supported broker you like”. Sharescope www.sharescope.co.uk They say, “ShareScope is a genuinely innovative product, made by people who love technology and understand it, and who are focused wholly on providing the best analysis and quality of financial information. In an exciting, emerging area, we’re at the cutting edge. By using advanced compression techniques all the data can be held in your computer’s memory so access is much faster than most stock market programs and exceptionally fast when compared to Internet chart programs. ShareScope is also easy to use, highly configurable, responsive and dynamic”.